place is all about the beer (© Brian Brown/Beer in Big D). Don't look now, but the newest brewing operation in North Texas opened this past weekend, as Good Neighbor Brews began selling the area's 50th brand of beer. The business is the first of its kind for the City of Wylie, and one whose name suggests that it hopes to make a good impression on the locals. Along those lines, a large part of Saturday's grand opening crowd did seem to have come from just up the road. Time and again conversations could be heard where someone exclaimed, "I live like a block from here!" Indeed, at least based on early returns, Wylie residents appear to be fully on board with the idea of having a brewery to call their own. So, what can you expect should you decide to drop in on the neighbors? Well, for starters, founders Jill Bresnan and Darin Petersen are operating within a 6400 square foot space. 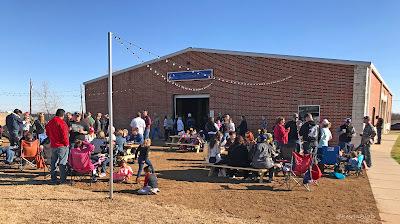 In terms of allocation, roughly a third of that is devoted to the production area, while the rest is outfitted with bar seating and an array of picnic tables. The latter furnishings extend outdoors as well, where there's ample room for anyone wishing to enjoy a pint in the open air. with a beer or tossing a football between friends (© Brian Brown/Beer in Big D). As for the liquid, yours truly arrived a little late to the party, so I only had time to try two of the three beers the brewery had on tap. The one I missed was Slim Sweetness (5.5% ABV), a blonde ale intended to be Good Neighbor's entry-level offering. While I can't speak for that one, the other beers available were clean and enjoyable efforts, which is a good sign for a brewery just coming out of the gates. Jackalope Stout - At 4.2% ABV, Jackalope might best be described as a session stout, a depiction supported by the beer's light body and easy drinking feel. Of course, whether it's a stout, a black ale or whatever, what matters most is how it tastes. In this case, Jackalope had a good amount of flavor, with a hint of roasted grain to go with a light finishing bitterness. Nickelville IPA - The name Nickelville refers to an early settlement in Collin County that joined other small communities in forming the town of Wylie in 1887. Nickelville, the beer, is a big, balanced brew that probably qualifies as a double IPA thanks to an ABV of 8.6%. provided by Chicago Brewing Supplies (© Brian Brown/Beer in Big D). Future additions to the Good Neighbor lineup include M'Rye, ah!, a rye ale listed on the brewery's website and keg toppers. 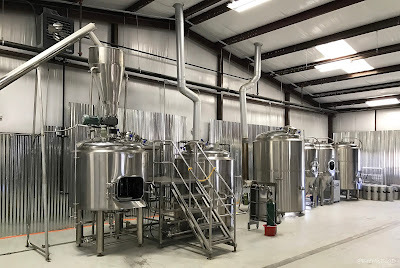 Once it's ready, that beer will be tapped alongside those mentioned above during taproom hours running Tuesday through Friday from 5-7 p.m., and Saturday from 1-5 p.m. 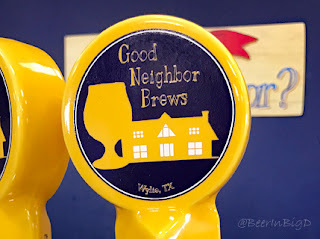 Beyond that, look for Good Neighbor brews to be on draft in and around Wylie, with expanded distribution to occur based on demand. There's already been a Jackalope sighting in The Colony, where the brewery's stout is currently on tap at The Thirsty Growler. *Click here for more on the brewery and its founders.